Fit Fine Fabulous: Work That Body! You know what I’m talking about. 😀 I’m sure there are even more excuses to add to the list. Since the heat and humidity are wilting so many of us already, here’s a FFF tip — put that A/C on, get your water and bust your moves at home. For those of us who have not been working out consistently or might be having trouble getting started, here’s a little beginner’s list of exercises that can be done without having to go to the gym, without having to be bothered about the heat outside. Do not be fooled, the plan might look easy but it’s challenging enough if you do it right. Adding hand and leg weights really ups the ante with this plan. Don’t let the summer heat wilt your enthusiasm! Just get moving! Here’s a little more encouragement to get you started today. Disclaimer: I am not a medical doctor, physical therapist or any of the like. These posts are suggestive only with the expectation that you know your physical needs and limitations and therefore take full responsibility for yourself. Please exercise responsibly. oh I could definitely use those exercises! I love to walk… haven’t done a jumping jack in years… I might scare the cat!! hope your healing is going well. k.
LOLOL! 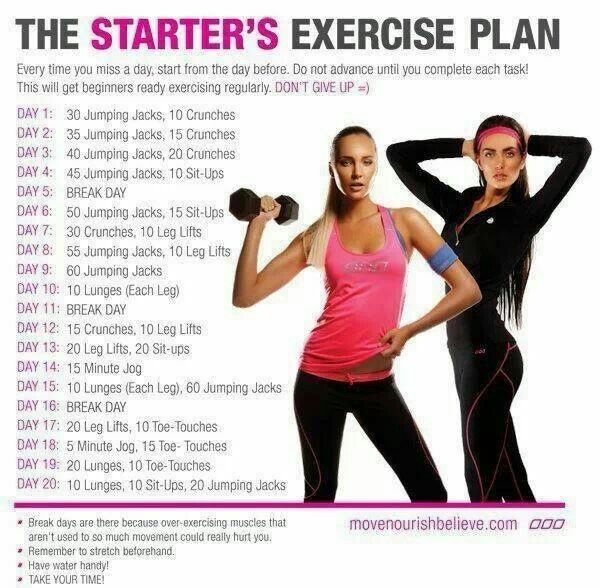 I haven’t done jumping jacks for a while either; we can definitely do this! Good for you! I didn’t realize how much I loved walking until I hurt my toe. Now, I’ve been doing crunches, dips and sit ups, aaarrrrghh! I laughed out loud when I read your post today, it’s so true. For me I can add …it rained and now the [dirt] road is too messy to go out and ride my bike/ run! LOLOL! I know between all of us we could come up with hundreds of excuses. I’m kinda ready for fall too. Not looking forward to summer at all. Most of my exercise thus far has been in 2 places: anywhere outside (walking) or in the house (SparkPeople website content). We truly don’t have any excuses.